Barry joined the Valyermo Dancers in May, 1978. He had previously studied mime and liturgical dance, but his educational strength rose from his degree in the field of theology from the University of San Francisco. 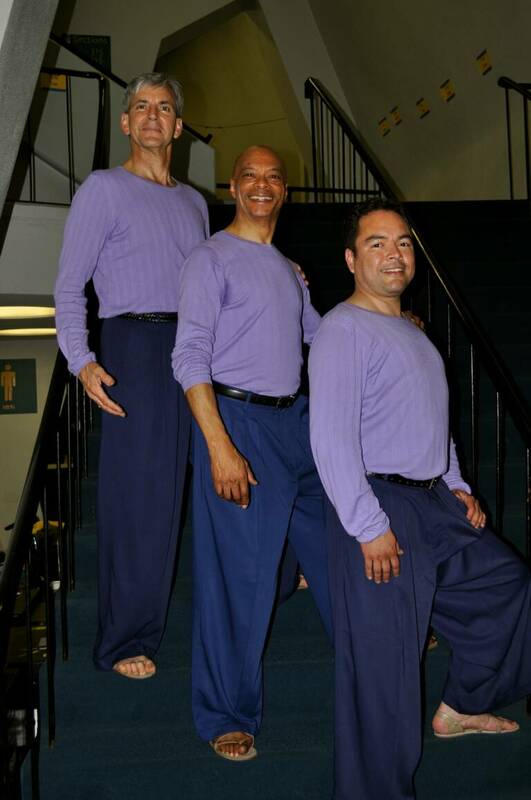 As an active member of the company, Barry performed in a number of the company’s presentations at Loyola-Marymount’s Student/Faculty Concerts. He traveled with the company to Israel, dancing as one of Holoferenes’ soldiers in the choreography of “Judith,” done for the “The Seminar on the Bible in Dance” in 1979. He was a featured dancer in the company’s full length ballets God’s Troubadour; Lux Hodie, and Dark Virgin, all of which were performed in the Valyermo Bowl of St. Andrew’s Abbey. Additionally, he dacned and played a significant role in the company’s Agnes De Mille tribute performances in Century City, CA. Barry continues to answer the call to help folks “touch into the God place in their soul” as Campus Minister at Gonzaga Preparatory School in Spokane, Washington. 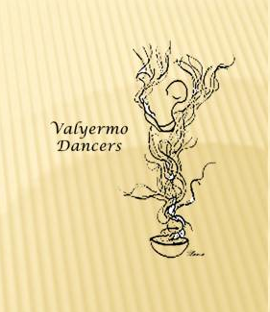 Ann joined the Valyermo Dancers in 1973. Considered one of the founding members of the company, Ann came to the company with a background of some fourteen years of dance, which she shared freely with the company. She studied with Yvonne Cusack; she was also a student of Bonnie Oda-Homsey and Ellen Graff. During her tenure with the company, Ann served not only as one of its featured dancers, but also as the company’s publications and design artist. She traveled with the company to Israel, dancing as Judith’s Handmaiden in the choreography of Judith, done for the “The Seminar on the Bible in Dance” in 1979. Like other early members of the company, she played a variety of dance roles for pieces presented at Loyola-Marymount’s Student/Faculty Concerts. She was a featured dancer in all of the Valyermo Dancers’ ballets, God’s Troubadour; Lux Hodie, and Dark Virgin, all of which were performed in the Valyermo Bowl of St. Andrew’s Abbey. She was also a part of the original cast for Wings, the original ballet based on the Adam and Eve story but presented as a part of Native American lore. “Annie” is an oblate of St. Andrew’s Abbey, a working artist, and a mother of 3. Bradeline Brown is one of the original founding members of the Valyermo Dancers. 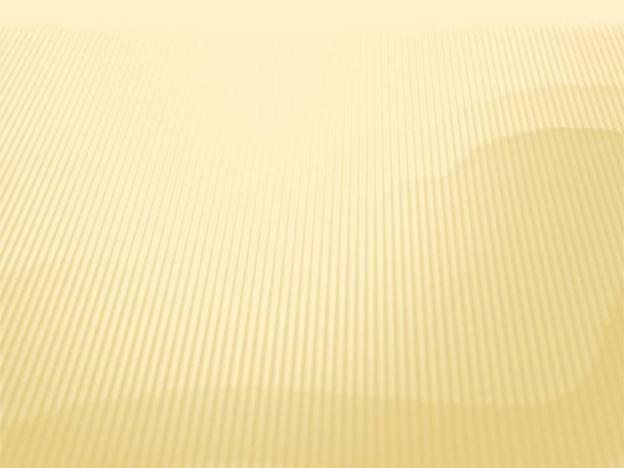 Though no longer active with the company, her contributions to the company’s identity were inestimable. She shared a number of talents with the company as soloist, artist, costume designer, instructor, and choreographer. During her tenure with the company, Brandy, as she was known, danced some of the most significant roles of the company’s signature works, including St. Clare in the ballet based on the life of St. Francis of Assisi, God’s Troubadour and St. Scholastica in Lux Hodie, a ballet based on the life of St. Benedict. All of the costumes for those ballets were designed and executed by Bradeline. Brandy created some of the outstanding and signature pieces for herself, including “Wholly Holy” and the original version of the company’s initial work, The Resurrection of Lazarus in 1972. Some of her most demanding pieces of choreography, like Sinner Man, were done for her co-founder, John West. Ms. Brown studied very intimately with Janet Collins and was a principle dancer for the R’Wanda Lewis Afro-American Dance Company. She was graduate student in children’s movement education at Pepperdine University. Brenda has been a Valyermo Dancer since spring 2010 and made her debut as a Valyermo Dancer at the Religious Education Congress in Anaheim, 2010. Prior to that time she had been dancing at the Religious Education Congress in the San Fernando region since 2008. Brenda began dancing as part of her High School's dance team. She has been an active participant of Mary Immaculate parish’s Liturgical Dance Ministry since 2007 and now serves along with her sister, Abril Muñoz, as the ministry's assistant coordinator. Currently, Brenda is pursuing her degree at California State University Northridge. Hilary has been a member of the Valyermo Dancers since 2009 and has participated in LA Archdiocese Religious Education Congress and participated in other concert venues with the company over the last couple of years. 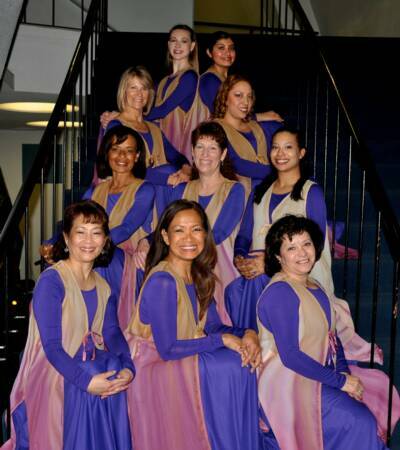 She came to the company through her work as a member and choreographer for “Earthen Vessels” of St. Lawrence Martyr Catholic Church in Redondo Beach, California. Her background in dance is richly rooted in the art of ballet. Since the age of ten, dancing six to seven days a week has been necessary in order to reach her goals. Working to the extremes, such as long hours, pinpoint accuracy, and rigorous standards, prepared her for various performances such as holiday productions of Toyshop and The Nutcracker performed at El Camino College’s Marsee Auditorium, Storybook ballets for children, Cinderella, Coppelia, Alice in Wonderland, Circus, The Firebird, and the annual Bravo! Showcase. Performing nationally for Regional Dance America has given Hilary the opportunity to fully utilize her skills, both as a member of South Bay Ballet and as an individual. Hilary is currently attending California State University Northridge, pursuing a degree in Kinesiology. She believes that having the ability and opportunity to express oneself is an extraordinary gift and goal for us all to enjoy. Hilary wants to be a person who helps to make that happen! Eve Jaquias-Johnson joined the Valyermo Dancers as a student from Loyola Marymount University and went on to travel with the full company to Israel in 1979 for the “The Seminar on the Bible in Dance.” In 1987, she performed with the company at Dodger Stadium for the Pre-Liturgy Celebration of Pope John Paul II’s visit to Los Angeles. In 1988, together with John West and Consuelo Zuniga-West, she represented the company in Australia during the “Australian Bicentennial Conference on Sacred Dance.” In 2002 she was honored to be one of the company members who participated in the dedication of The Cathedral of Our Lady of The Angels, (Los Angeles Cathedral.) In addition to dancing for many years with the company at Los Angeles Religious Education Congress held annually in Anaheim, CA , Eve has also choreographed and presented workshops at the San Fernando and Santa Barbara Regional Religious Education Congress. She has been a featured sacred dance choreographer and workshop presenter in Boise, Idaho as well as a commissioned choreographer for the dedication of St. Maximillian Kolbe church in Westlake, CA. She founded the liturgical dance ministry of Padre Serra Parish in Camarillo, CA in 1990 and continues to give workshops today in parishes seeking to establish sacred dance ministries. She is pleased to consider John West and The Valyermo Dancers as her second family. Eve is an oblate of the Abbey and sees St. Andrew’s Abbey as her home-away-from home. Rosemarie holds is a dancer emeritus of the Valyermo Dancers. She came to the Valyermo Dancers in April of 1977 with a background of study and performance in ballet and Irish Dance. Like other members of the company, Mrs. Kelley had studied at the Yvonne Cusack School of Ballet and the Stanley Holden Dance Center. She was a certificated member in the National Dance Branch of the Imperial Society of Teachers of Dancing, London. A resident of Manhattan Beach, Rosemarie taught ballet through the Manhattan Beach and Los Angeles County Parks Recreation Departments. Through her foundational ministry of liturgical dance at American Martyrs Church, Rosemarie became responsible for bringing numbers of dancers to the art form and also into the experience of the Valyermo Dancers. During her tenure with the Valyermo Dancers, Rosemarie in all of the Valyermo Dancers’ ballets, God’s Troubadour; Lux Hodie, and Dark Virgin, all of which were performed in the Valyermo Bowl of St. Andrew’s Abbey. Other performance venues have included Judith, done for the “The Seminar on the Bible in Dance” in 1979, the September 1987 Dodger Stadium pre-liturgy celebration for Pope John Paul II her participation in a number of the St. Andrew’s Abbey Fall Festival vesper services, just to name a few. Throughout the Valyermo Dancers’ service to Los Angeles Religious Education Congress, Rosemarie was a consistent minister of liturgical movement for that event and a regular coordinator of liturgical movement for the Celtic liturgies. Rosemarie was also one of the dance company oblates at St. Andrew’s Abbey. Her spirit and influence continue to inspire company members despite her untimely death. Abril has been a Valyermo Dancer since Spring 2010 and has been loving every minute of it! She serves as director of Liturgical Dance Ministry at Mary Immaculate Parish. Abril has been dancing at the Religious Education Congress in the San Fernando Region since 2008 and danced at the Religious Education Congress in Anaheim in Spring 2010. Abril Munoz danced throughout her Middle School and High School years as part of the school's drill team and dance team. She serves as director of Liturgical Dance Ministry at Mary Immaculate Parish. Mario Muñoz joined the Valyermo Dancers in 2003. While discerning a call to religious life, he was visiting St. Andrew's Abbey and accidentally stumbled upon the Mid-Winter Dance Workshop. He had no prior dance experience and didn't know a "port de bras" from a "pas de bourrée", but he was welcomed into the company and three months later he was dancing in front of thousands of people at the Los Angeles Religious Education Congress. He has danced at Congress for the past 7 years and also dances at the Santa Barbara Regional Congress, as well as at his home parish in Lompoc, CA, La Purisima Concepción. Through dance, he found a unique calling on his spiritual journey. Beth Newell has been a member of the Valyermo Dancers since 1995. As a member of the company she has served with the company as a minister of liturgical movement at the Los Angeles Religious Education Congress in Anaheim. In that venue, Beth has become over the years the coordinator of movement for the Scrutiny and Dismissal rites of the Congress closing liturgies. She has also danced various roles for the company in their vespers presentations for St. Andrew’s Fall Festival. Perhaps her most significant role, however, has been as Mary in post World Library Publications performances of Fr. Lucien Deiss’ Passion According to John, choreographed by John West and danced by the Valyermo Dancers. Beth received her B. A. in dance from CSULB in 1979. Beth is also one of the founding company members of St. Laurence Martyr’s “Earthen Vessels.” Her presentation of the role of Mary as part of the outdoor stations of the cross has also touched many hearts. Greg Poteat is a late bloomer of a dancer who in 1987, at age 31 and as a recreational athlete/dance aficionado, participated in his first Valyermo Mid-Winter Dance Workshop. When John West and the Valyermo Dancers were invited to dance at the September 1987 Dodger Stadium pre-liturgy celebration for Pope John Paul II, Greg was asked to participate in the work. With the patient guidance of John and successful basic instruction from local ballet classes, Greg was able to gather enough confidence to add his humble talents to the event. Since that time, he has continued as a member of the Valyermo Dancers, dancing the role or the centurion in the World Library Publications video production of Fr. Lucien Deiss’ Passion According to John, choreographed by John West and danced by the Valyermo Dancers. Other performance venues have included his participation in a number of the St. Andrew’s Abbey Fall Festival vesper services, the annual LA Archdiocese Religious Education Congress. Over the years, Greg has also served the company as the videographer. A tenor in the local parish choir, he also brings 25 years experience in parish music ministry to the company’s artistic well. Sharon Ruiz has been a part of the Valyermo Dancers since 2003. As a member of the company she has participated in the L.A. Archdiocese Religious Education Congress, San Pedro Regional Congress, St. Andrew’s Abbey Fall Festival, local concerts given by John Angotti. Sharon first came to the company through her association and involvement with the late Rosemarie Kelley, a longstanding member of the company. It was Rosemarie who encouraged and supported Sharon’s return to dancing after a 20 year hiatus. She first became a member of Rosemarie’s parish group “Wings of Faith” at American Martyrs Catholic Church in Manhattan Beach. With them she has danced at Catechetical Sunday at the Cathedral of Our Lady of the Angels, and South Bay Interfaith services.. Sharon is married, has 4 grown children, and works full time as an executive assistant at Anastasi Development Company. Mariel is one of the original members of the company. She danced in Bradeline Brown’s 1972 original choreography of “The Resurrection of Lazarus,” performed for the vespers celebration of St. Andrew’s Fall Festival. During her tenure with the company, Mariel also danced the title role of Judith in the ballet Judith that the company premiered at the “The Seminar on the Bible in Dance” in 1979. He was a featured dancer in the company’s full length ballets God’s Troubadour; Lux Hodie, and Dark Virgin, all of which were performed in the Valyermo Bowl of St. Andrew’s Abbey. Mariel came to the company with a wide and carried dance profile, ranging from her schooling at USIU, where she was a member of the corps de ballet of the school’s performing company, to her degree work at CSULB where she performed Doris Humphrey’s Water Study and Jeff Slayton’s Cnicus. Ms. Taylor studied under Rebecca Bobele and Ze’eva Cohen at the University of Utah’s Repertory Dance Theatre and has been a member of the dance department faculty at CalArts. She has been a longstanding associate of St. Andrew’s Abbey and continues to be a rich resource for the company, though she has not performed with us for a few years. She presently has a thriving business as an international physical trainer. Consuelo began her studies of dance at LACC and CSULA where she studied under Pat Finot. Considered one of the founding members of the company, she studied Dunham technique under Bradeline Brown and Humphrey-Weidman under Saida Gerrard at the University of Judaism. In 1971 she became interested in liturgical dance and two years later joined the Valyermo Dancers. Later, she often worked under the direction of Carla DeSola and danced as a featured dancer during Carla’s summer workshops at St. Andrew’s Abbey. Consuelo has been featured in a number of the company’s major choreographic works. Of particular note are her titled roles as Lady Poverty in God’s Troubadour and the title role of Our Lady of Guadalupe in Dark Virgin. She travelled with the full company to Israel in 1979 for the “The Seminar on the Bible in Dance” where she performed as part of the women’s ensemble in Judith. She has danced the role of Sarah in The Sacrifice, the role of First Woman in Wings, one of two featured female dancers in the Valyermo Dancers’ choreography of the Misa Criolla. Her role as “Yahweh” in Jo-Jo Jonah and the Whale demonstrated her strength as a character dancer. In 1987, she performed with the company at Dodger Stadium for the Pre-Liturgy Celebration of Pope John Paul II’s visit to Los Angeles, performed in the concert for the “Australian Bicentennial Conference on Sacred Dance,” and participated in the dedication of The Cathedral of Our Lady of The Angels, (Los Angeles Cathedral.) in 2002. Throughout the Valyermo Dancers’ service to Los Angeles Religious Education Congress, Consuelo has been a consistent minister of liturgical movement for that event and a regular coordinator of liturgical movement for the Hispanic liturgies. Consuelo is one of the dance company oblates at St. Andrew’s Abbey. She currently serves as the company’s manager. Top to Bottom: Hilary, Brenda, Jenna, Abril, Anita, Beth, Flavia, Sharon, Eve, Consuelo. Photograph by Jim Newell. Eve, Flavia, Brenda, Mario, Abril, Anita, Consuelo. Religious Education Congress, Hispanic Liturgy, Anahiem, 2011.